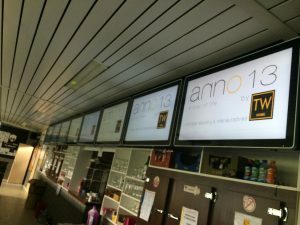 Expo Sports Media are a new venture that has been pushing a new market of advertising in Sports clubs across Belgium. They have partnered with Dynamax and their cloud based digital signage software “digitalsignage.NET” to provide digital signage advertising. The National Sponsor System, also introduced by Expo Sport Media, is perfect for large multinational companies, like Nike and Coca Cola. They can advertise their products across the network of different football clubs across the county, expanding their market reach. 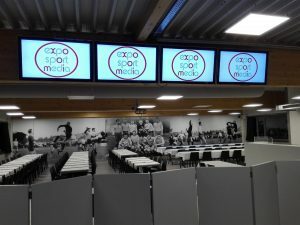 Expo Sport Media has seen their advertising based sport business expand across Belgium and is now targeting clubs in the Netherlands and Germany. This expansion is built on the foundations set up in Belgium and will no doubt attract more brands to the business.